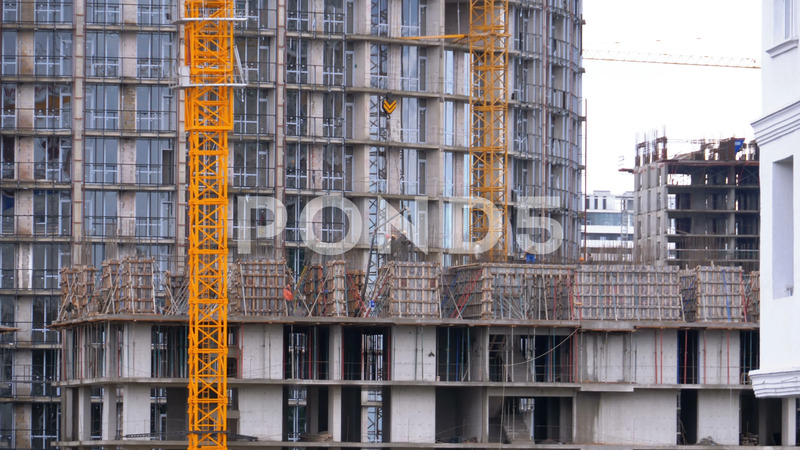 Description: Construction of skyscrapers and buildings, construction site. Building Under Construction. Workers are building a modern high-rise building. Unfinished building made of reinforced concrete. High-rise Crane at a construction site.